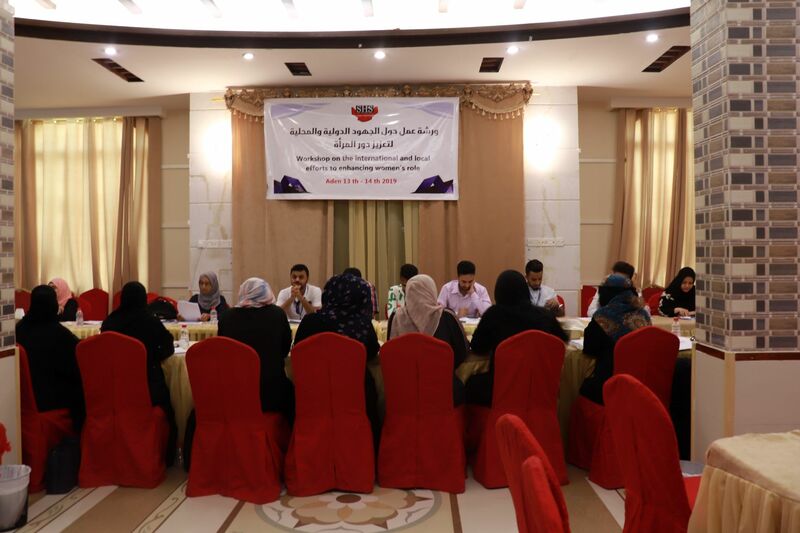 On the occasion of International Women’s Day 8 March, SHS conducted a workshop on international and local efforts for enhancing women’s role for two days, 13 – 14 March 2019 in Aden Governorate. The workshop was attended by 30 participants from civil society organizations CSOs, local and international NGOs and the governmental offices of MOPIC, MOSAL and local media. During the workshop, efforts were made to strengthen the role of women at all levels of social, politics and economy were reviewed, such as UNSCR 1325 and the Convention on the Elimination of All Forms of Discrimination against Women (CEDAW). Gender concepts and its humanitarian and developmental approaches and the importance of Gender & protection mainstreaming were addressed at workshop. The Workshop concluded with a joint 6 recommendations aimed at working on adapting these efforts with the simple local community.